Today I am in Budapest after the 6 hour train ride from Zagreb a couple of days ago. I decided to take the 0500 train, which is early, but much better time to arrive into a city. At the train station a Grannie lady had a sign for rooms and I jumped at that moment instantly. I am staying at a super nice flat just across from the train station and the metro with fast wireless internet. The room is slightly more expensive than the Balkans at 30 euro night, but much better than any hostel or hotel. The public transportation in Budapest is excellent. 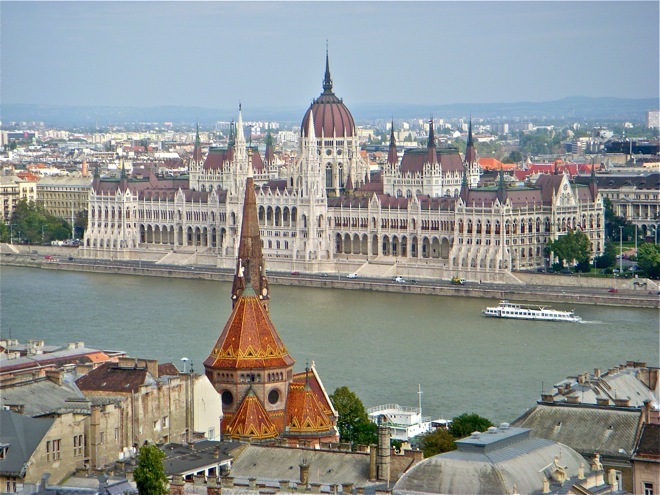 It is best to buy a three day Metro pass for transportation around Budapest if staying up to three days. I’ve been eyeing the Budapest Opera website for about a month now, and I attended Tosca in three acts by Giacomo Puccini. The Hungarian Opera house is the most beautiful place I have viewed an Opera. I also met some nice people along the way. I decided to extend my stay here in Budapest for a total of six days and might just take the overnight train to Krakow. I am connecting some couch-surfers for a possible room for two weeks Krakow. Cool! Budapest looks great! I am all about early train rides as well.. and I’m blessed with the abiltity to sleep anywhere! Previous post: Train Travel from Sarajevo to Zagreb.